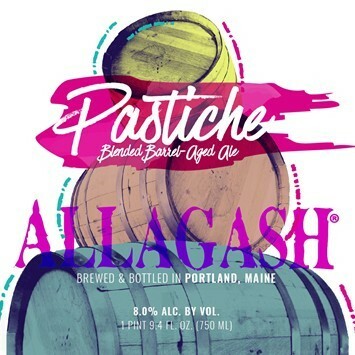 Pastiche is a barrel-aged blend of four different ales aged in twice as many barrels. The beers in this blend use various local malts and were created specifically for Pastiche by our team of senior brewers. Barrels included in the aging process were: rye whiskey, vermouth, port, rum, bourbon, red wine, gin, and brandy. After aging the beers between three and four months, the brewers got together and blended them all into a single, unified whole called Pastiche. This complex amber beer contains notes of caramel, dried fruit, spirits, and oak.